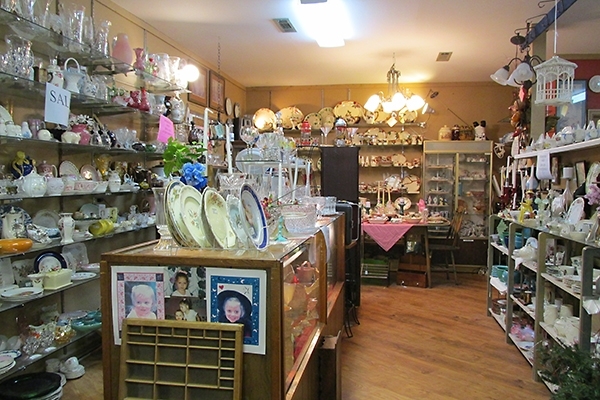 Dejavu Antiques awaits customers in Dillard, just south of the North Carolina Mountains. 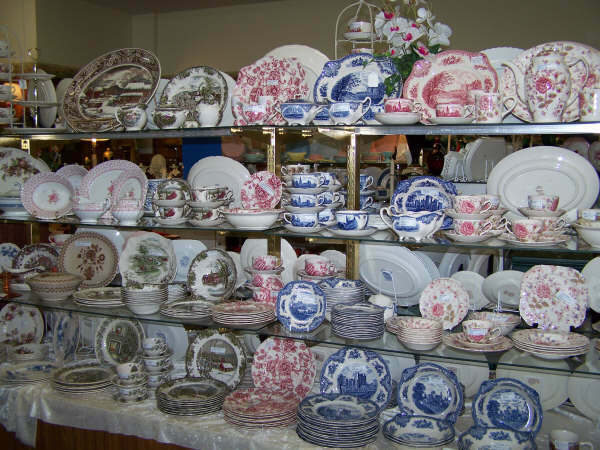 Ernest and Joan Thomason have been in the antiques business for more than two decades offering a selection of merchandise from twenty-four years of collecting. 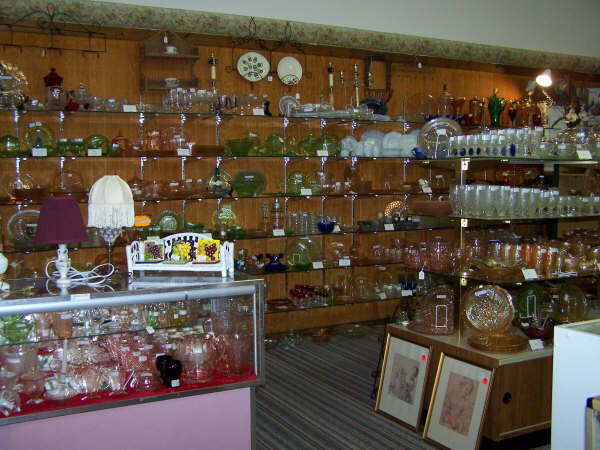 “We search for antiques throughout the United States and abroad, offering a large variety of Depression glassware and elegant glass from a bygone era. Our shop also offers a large assortment of art pottery consisting of Roseville, Weller, Hull and Van Briggle. 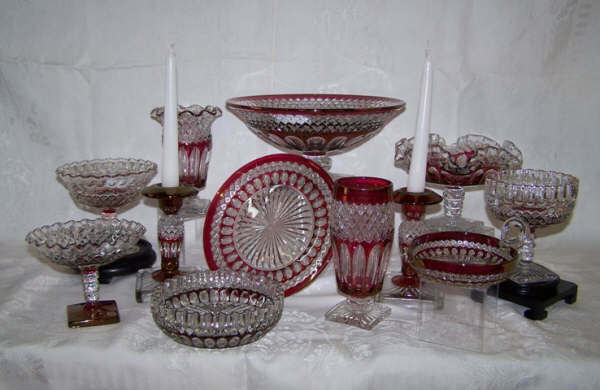 We also stock vintage Fenton glassware as well as extensive Johnson Brothers dinnerware patterns. The shop also includes a booth devoted to tools for the handyman in the family,” says Joan. We also display and sell at Glassware shows throughout the Southeast. Please check our website www.dejavuantiques.biz for show dates and locations near you. 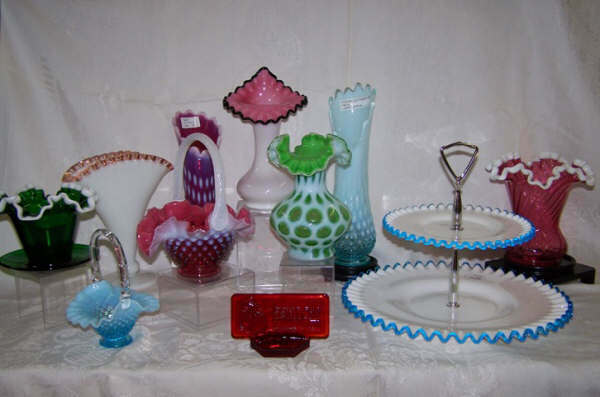 Our website also offers a coupon for purchases at our shop as well as at the glassware shows. We will honor the coupon for telephone and website orders too. If you need to replace a broken item or want to add to your collection, let us know and we will be happy to aid you in your search. We invite you to stop by the shop at 6804 Hwy 441 N. Dillard, GA 30537 or call with inquiries to (706) 746-5863.